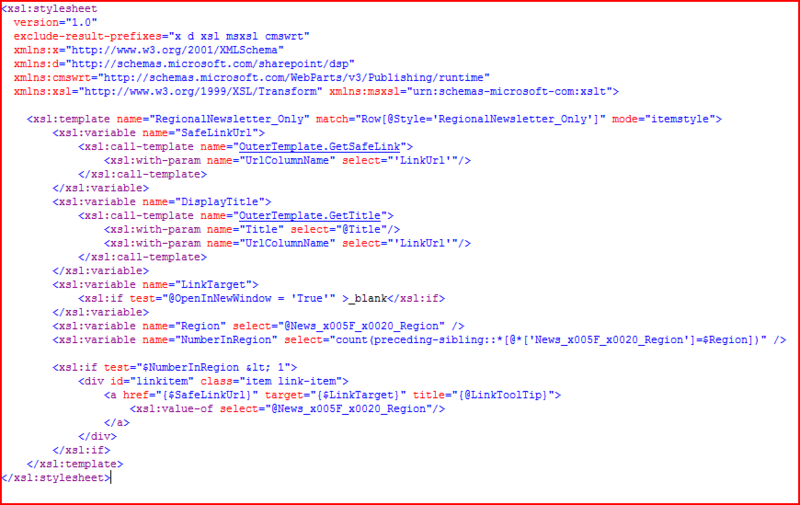 Really, just a reminder for myself, but if you work with SharePoint long enough you’re bound to end up using something like the Content Query Web Part or a Data View Web Part to aggregate and output a rich text source – but all your HTML gets escaped, so it appears content on the page. This will cause the HTML to be output unescaped – i.e. as HTML. Side note: Sometimes people want things like the CQWP to show the first part of the content as a ‘summary’. This trucating content to display in the CQWP or DVWP is difficult; either a) you risk having unfinished tags in the HTML you do emit, or b) you have to strip out all HTML, which can ruin your formatting. a) is a particular problem, as unfinished <table> tags can cause all sorts of weirdness on page. My preferred option is to have a additional ‘summary text’ box that accepts plain text, and have the author generate the summary manually. That way we avoid outputting HTML like that entirely. So, I was playing with Date formats again in SharePoint, and came across a good tip from Panvega worth a shout – Using ddwrt:FormatDate in the CQWP. I needed to take the Publishing date for a page and reformat it (I don’t need ’14:55:47 GMT’ on the end); this allowed me to do that!